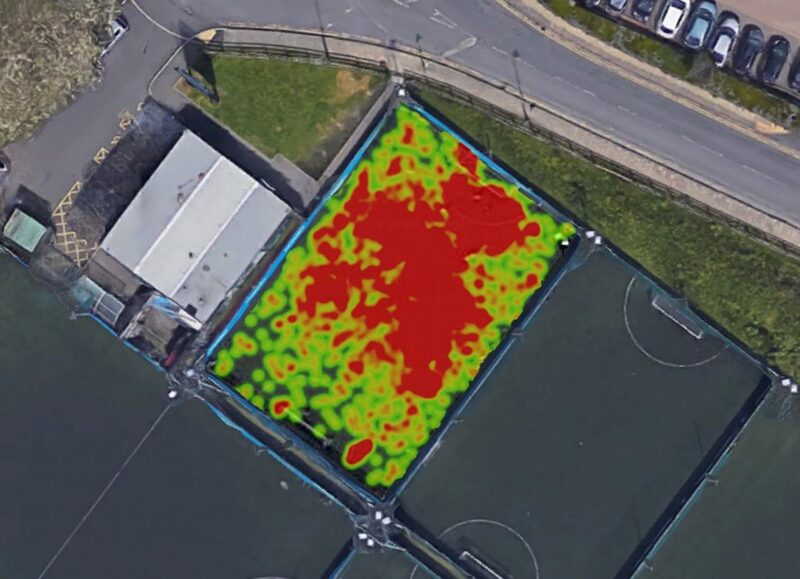 Tracking technology has been a part of football analysis for the past 20 years, giving access to data on physical performance and heat map visualisations that show how far and wide a player covers. As this technology becomes cheaper and more accessible, it has now become easy for anyone to get this data on their Sunday morning games. This article runs through how you can create your own heatmaps for a game, with nothing more than a GPS tracking device (running watch, phone, gps unit) and Python. To get your hands on your own data, you can extract your gpx file through Strava. While Strava is great for runs, it isn’t built for football or running in tight spaces. So let’s build our own! Let’s import our necessary modules and data, then get started! The .gpx file type, put simply, is a markup file that records the time and your location on each line. With location and time, we can calculate distance between locations and, subsequently, speed. We can also visualise this data, as we’ll show here. The first two points are our latitude and longitude, alongside elevation and time. This gives us a lot of freedom to calculate variables and plot our data, and is the foundation of a lot of the advanced metrics that you will find on Strava. Our location is now extraceted into a handy x and y format….let’s plot it. We’ve borrowed Andy Kee‘s Strava plotting aesthetic here, take a read of his article for more information on plotting your cycle/run data! The lines are great, and make for a beautiful plot, but let’s try and create a Prozone-esque heatmap on our pitch. Similar visualisations of professional football matches set clubs and leagues back a pretty penny, and you can do this with entirely free software and increasingly affordable kit. While this won’t improve FC Python’s exceedingly poor on-pitch performances, we definitely think it is pretty cool! Simply export your gpx data from Strava and extract the lat/long data, before plotting it as a line or as a heatmap on a map background for some really engaging visualisation. Next up, learn about plotting this on a pitchmap, rather than satellite imagery.